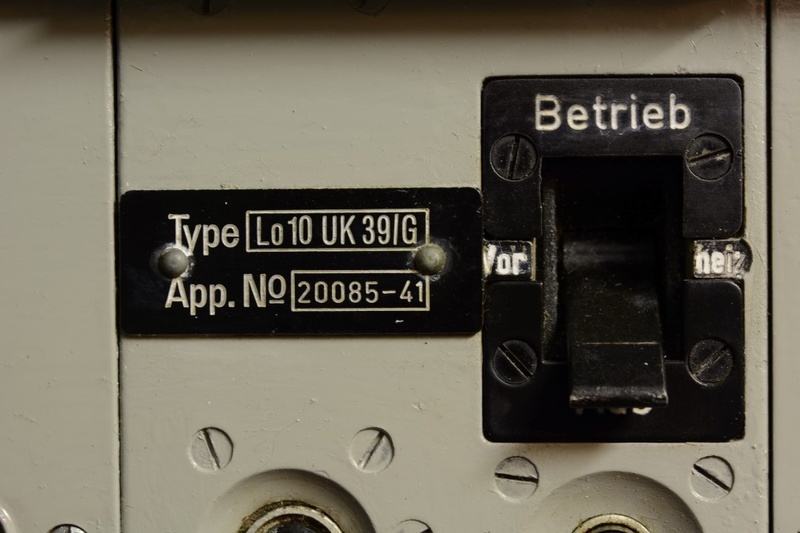 Betrieb = operation = If the switch were flipped to this position, the unit would be "on." The on/off switch is now in the off position. Therefore, the switch hides the word "Aus" which is the German word for "off." Look closely at the radio "Type." You will notice that the complete type indicator shows that this is an "Lo10UK39/G." The G indicates that models A, B, C, D, E, and F have been produced before this model.